I'm still painting koi - this is the eighth painting in the series. 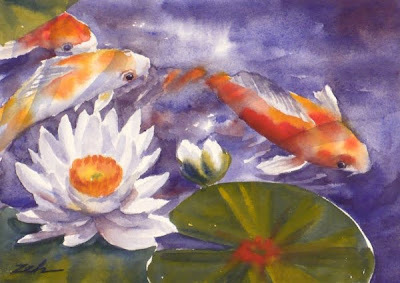 In this piece, three koi swim lazily by some blooming waterlilies. You can find my artwork for sale in my website's Original Art Shop or at JanetZeh.Etsy.com.